John Simonds, the third in the same line to have this name, died in 1929. You will find references to him throughout this web site, because he was involved in so many of the village's organisations. His wife was the daughter of the Rector John Hayes, and his own son had 'Hayes' as his middle name. It is with the deepest regret that we have to record the death of Mr. John Simonds, a freeman of Reading, which occurred suddenly at his residence, Newlands, Arborfield, on Wednesday morning. The late Mr. Simonds, who was 83 years of age, was the third generation to bear the Christian name of John, his father and grandfather also bearing that name. 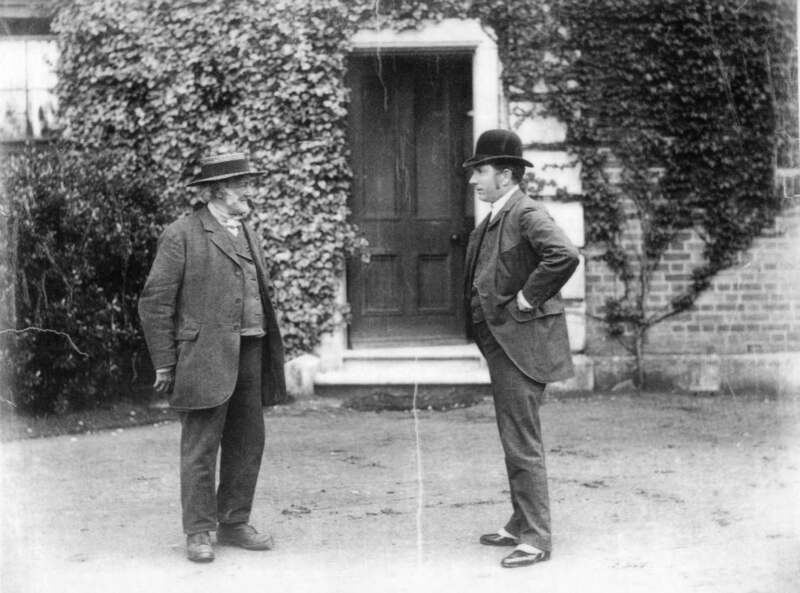 He had lived all his life in Berkshire, where he was one of the best-known and most popular figures, and he was held in the highest esteem by all with whom he came into contact. His passing will mean the loss of a great friend to many, and his death will be regretted by all who knew him. The late Mr. John Simonds was a local director of Barclays Bank, and was formerly the senior partner of Messrs. J. and C. Simonds and Co., a firm whose banking connection with Reading dates back to 1791, when a firm was started by Robert Micklem, John Stephens, William Blackall Simonds, and Robert Harris. From 1816 onwards the partners in the bank were all members of the Simonds family. In 1859 various changes caused by death had left the late Mr. John Simonds’ father the sole partner, and in 1871 he took his two sons, Mr. John Simonds (the third) and Mr. William Simonds, and his nephew Mr. James Simonds, into partnership, and until 1905 these three controlled the business. In that year the death of Mr. James Simonds resulted in the final change of partners before the amalgamation with Barclays Bank, Ltd., in 1913, Mr. Charles Francis Simonds, son of Mr. James Simonds, Mr. John Hayes Simonds and Mr. Gerald Pomeroy Simonds, the sons of the surviving partners, being taken into partnership. On the amalgamation the late Mr. John Simonds, Mr. William Simonds (who died a short while ago), and Mr. John Hayes Simonds, of the old partnership, and Mr. Maurice Hayes Simonds, a son of Mr. John Simonds, became local directors. Mr. John Hayes Simonds was appointed a director of Barclays Bank, Ltd., in 1923. The late Mr. John Simonds had an official connection with the Borough of Reading which extended for close upon 60 years. On April 25th, 1870, he was appointed by the local Board of Health for the borough as treasurer, and on September 16th, 1872, the Reading Town Council appointed him to act as treasurer under the Sanitary Acts. On October 24th 1901, the Town Council chose him as borough treasurer in the place of Mr. Charles Stephens, and he held this position right up to the time of his death. His connection with the borough was of vital importance, particularly in the matter of the raising of loans. Never once did the firm of J. and C. Simonds refuse the amount required by the Corporation to meet pressing financial obligations or to carry out public works. The Reading Council honoured him in July, 1924, by conferring on him the honorary freedom of the Borough, and no man more worthily deserved the honour. The conferring of such an honour was a rare occasion indeed in Reading, and only ten people have received it. Of these, only two are now alive – the Marquis of Reading and the Rt. Hon. Leslie Wilson. For 25 years the late Mr. John Simonds served in the Berkshire Volunteers, retiring in 1891 with the rank of Lieut.-Col. He was the possessor of the Long Service Medal. In 1866 he went as a representative volunteer under Col. Loyd Lindsay to a great gathering at the "Tir Nationale" in Brussels. The principal recreation enjoyed by the late Mr. Simonds was hunting, and he was never happier than when he was astride a good horse, enjoying a gallop behind the pack. The success of the Garth hounds was due to a very large extent to the most satisfactory manner in which he carried out the secretarial duties during a period of 35 years. He endeared himself so much to the followers of the pack that he was elected their president. In addition to being treasurer to the Reading Town Council, Mr. Simonds held a similar position to the Reading Board of Guardians, and to other public bodies and institutions. He had acted as hon. treasurer to the Reading Alexandra Rose Day, and when the National Playing Fields movement was started, he at once lent his support by accepting the position of hon. treasurer to the Berkshire Association. Mr. Simonds was keenly interested in all subjects affecting the countryside. 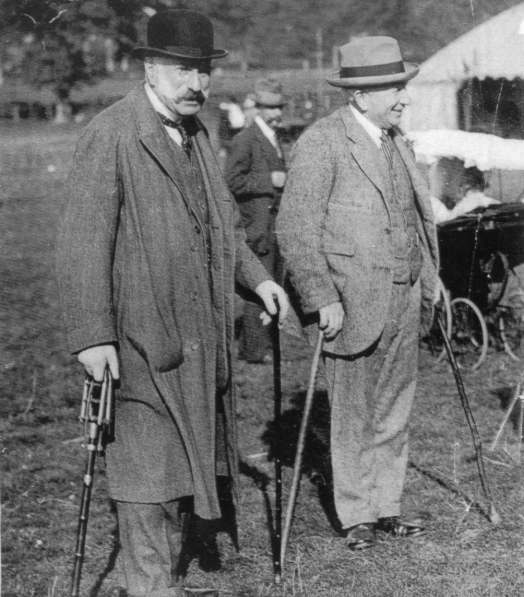 He showed this interest by continued support for Wokingham and District Agricultural Association, of which he occupied the presidential chair in 1925, when the society’s show was held at Arborfield. Mr. Simonds also served on the local committee on the occasion of the visit of the Royal Show to Reading in 1926. A life-long Conservative, Mr. John Simonds was a vice-president of the Reading Conservative and Unionist Association. The late Mr. Simonds had lived in the Arborfield district practically all his life, and his generosity in the district was unbounded. The villagers of Arborfield have lost a true friend by his death. He was an attendant at Arborfield Church. Among local positions held by him was the presidency of the Arborfield Cricket Club, whose ground was lent by him to the club. He took an interest in everything that was for the welfare of the locality. Mr. John Simonds married a daughter of the Rev. Sir John Warren Hayes. Mrs. Simonds died many years ago. He leaves two sons and five daughters. The two sons are both engaged in banking. Mr John Hayes Simonds is a director of Barclays Bank and also a local director, and Major Maurice Hayes Simonds is a local director of the bank at Reading and Windsor. The greatest sympathy will be felt for the family. The funeral will take place at Arborfield to-day (Sat.) at 2.30 p.m. At the same time a memorial service will be held at St. Laurence’s Church, Reading.